Land at Bhubaneswar airport, then travel 60 kms to reach at Puri. The Biju Patnaik Airport of Bhubaneswar is replete with complete modern international facilities that an airport can have. This airport of Odisha is connected with daily flights from the major cities of India. 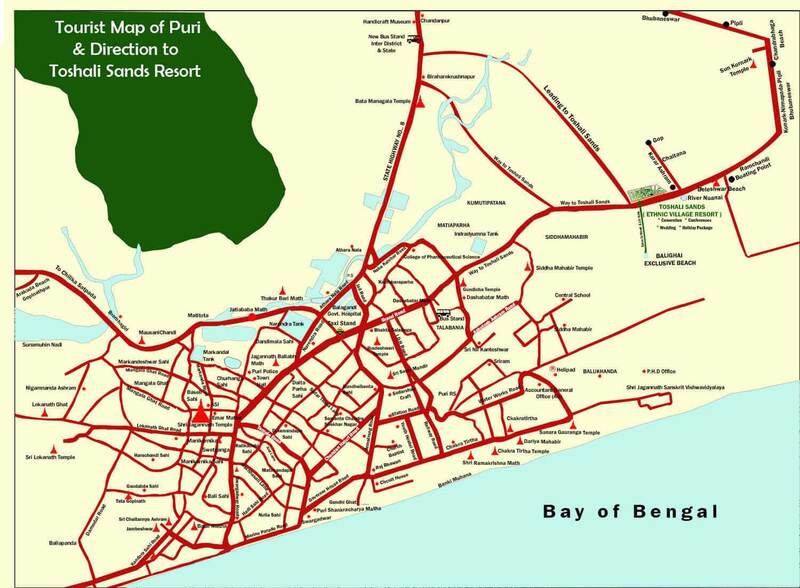 The Puri Railway station is situated within the city and easily accessible from the city center. The rail network to Puri is connected from most of the important cities of India. Traveling by rail to Puri is an adventurous as well as economical means of reaching the city. Several super-fast and passenger trains ply to the city of Puri. There are direct buses available from the boundary states’ cities like the cities of Kolkata and Vishakhapatnam to Puri. You can count number of buses from different cities of Odisha to Puri and even uncounted buses and taxi services especially from Bhubaneswar and Cuttack.